Demythify: Last 3 Pages Rant & Spoilers! DC Comics’ Batman Eternal #52, New 52 Futures End #48, Earth 2 World’s End #26 & Convergence #0! DC Comics Convergence Spoilers & Reviews: New 52 Futures End #48, Earth 2 World’s End #26 & Convergence #0! No The Multiversity #2! The road to Convergence comes to a climactic end! DC Comics Convergence Spoilers: Convergence #0, New 52 Futures End #48 & Earth 2 World’s End #26 Previews! The road to Convergence ends. DC Comics Convergence Spoilers: How Do Multiversity Ultra Comics #1, New 52 Futures End #47 & Earth 2 World’s End #25 Lead To Convergence #0? 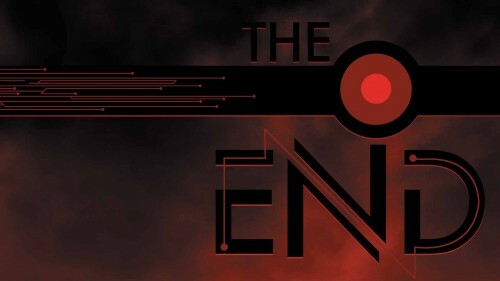 DC Comics Convergence Spoilers: Final Covers For New 52 Futures End #48, Earth 2 World’s End #26 & Convergence #0 Revealed! The Multiversity #2 MIA! DC Comics New 52 Futures End #47 Spoilers: Pre & Post-Convergence New Batman Beyond’s Identity Revealed! 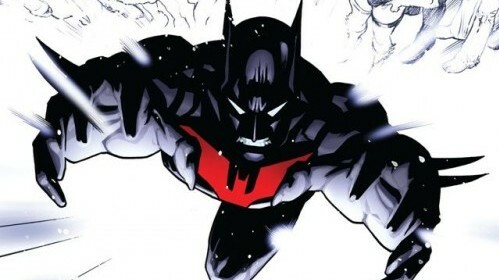 Who is the new Batman Beyond? DC Comics’ Convergence Starts Early In TODAY’s New 52 Futures End #41?! Beware Of Spoilers! Convergence Spoilers For April 2015! Multiversity Teasers & More Straight From DC Comics’ Dan DiDio! Plus New 52 Solicitations For Convergence #1, #2, #3 & #4! Three Series End & Converge Into DC Comics’ Convergence #0 On The First Of April Heading Into DC Comics’ New 52 April 2015 Solicitations! Spoilers! It begins where it ends. 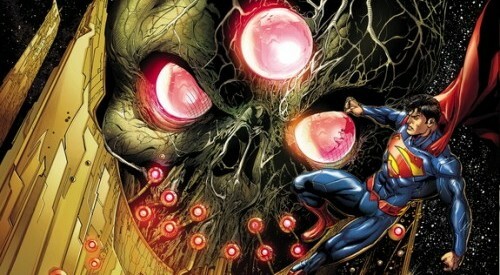 Fan Fave Writer Lets Post Covergence Spoilers Of DC Comics New 52 Plan Slip? Reboot Or Not For 2015? 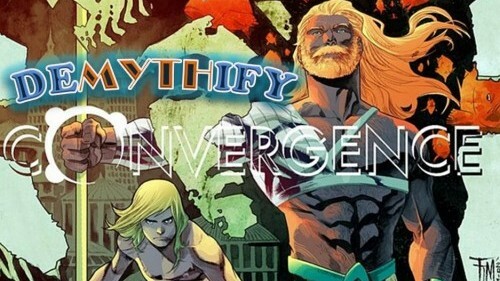 How integral is Convergence to DC Comics' publishing line? 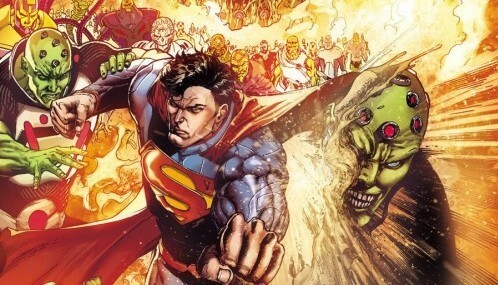 DC Comics 2015 Convergence Events Expanded Spoilers-Filled Look At New 52 Multiverse & Timelines Plus Event Logo Revealed! DC Comics’ New 52 Futures End #18 & #17 Spoilers & Review: Superman Times Two, Batman Beyond Strikes, Shazam, A New Green Arrow, Earth 2 & More! Easter eggs revealed! Plus a new INTERACTIVE map of the multiverse. A major big bad makes their presence felt! Grant Morrison’s The Multiversity #1 Spoilers & Review: The Road To DC Comics New 52’s 2015 Crisis & Darkseid War Begins? Plus Two Avengers Now Inspired Teams? Wow. A whole lot going on here! 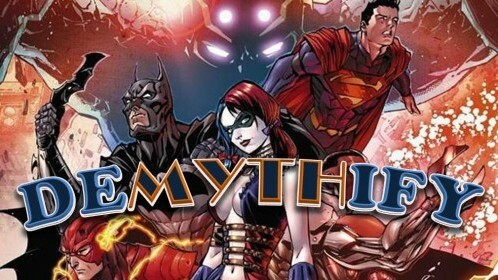 DC Comics’ New 52 Futures End #15 Spoilers & Review: Masked Superman, New Gods, Earth 2… OH MY! Are Batman & Joker Still MIA?! Who is Superman? What is keeping Earth 2 "Wonders" powerless?